A secluded haven on the Red Sea Coast, celebrating rare marine life, nature’s fabulous colours and the timeless beauty of the sea. Nature’s colours come to life at The Oberoi Sahl Hasheesh with white sand, aquamarine waters and vibrantly-hued marine life. 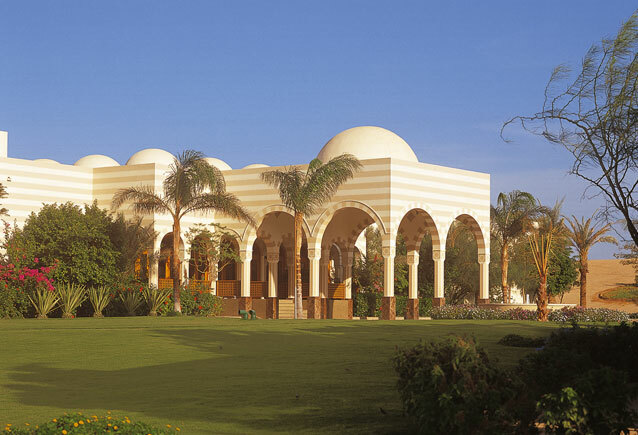 In exotic Egypt, this exclusive luxury resort on the Red Sea Coast is situated on 48 acres with a private beach. 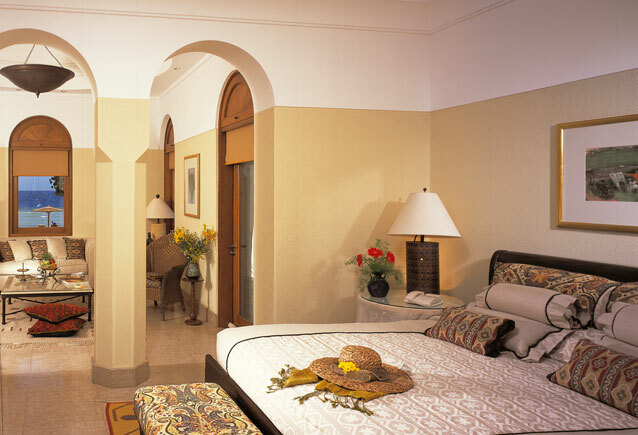 The resort’s distinctive guest accommodations include Deluxe, Superior Deluxe, Grand and Royal Suites. Grand and Royal Suites have private heated swimming pools. Suites – All 63 Deluxe Suites and 21 Superior Deluxe Suites are spacious and elegantly appointed and have luxurious bathrooms with separate shower stalls. Their sunken marble baths overlook a private open-air walled garden. In addition, there are 12 larger Grand Suites having their own private swimming pool, heated in the cooler months. 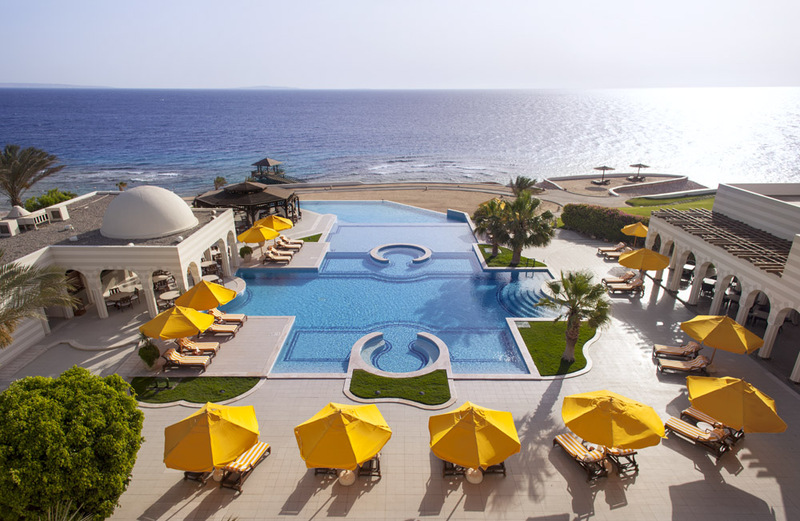 Swimming pool – Our stunningly beautiful outdoor swimming pool at the Sahl Hasheesh opens at 7am and closes at sunset, when you will have a spectacular view over the beach and the Red Sea. 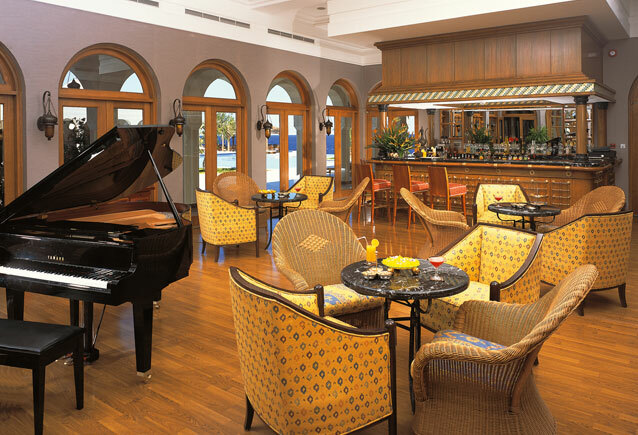 Snacks and light refreshments are available at the pool’s Pergola restaurant during daylight hours. 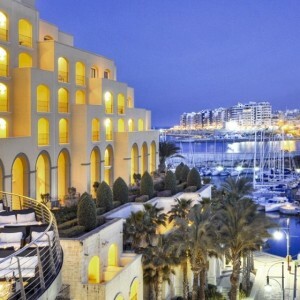 Spa & fitness – After a day of exposure to the sun and the sea, take your body on a journey of rediscovery at the Spa. 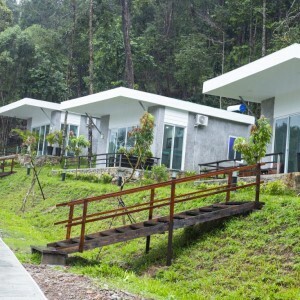 In an ambience designed to inspire serenity, here the healing hands of trained therapists revitalise your body and spirit. Treatments that draw on Aromatherapy, Oriental as well as Western techniques are designed to awaken the senses and restore the natural balance of the body. Get pampered with massages, scrubs and beauty therapies that leave you feeling completely rejuvenated or simply unwind in the private steam room. 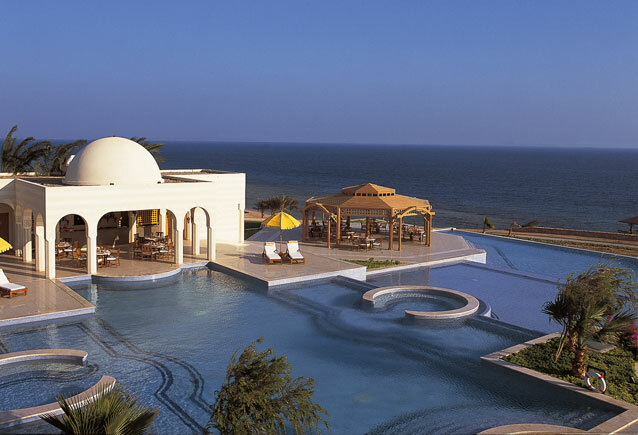 A haven of tranquility, The Oberoi Spa promises you an experience of transformation. 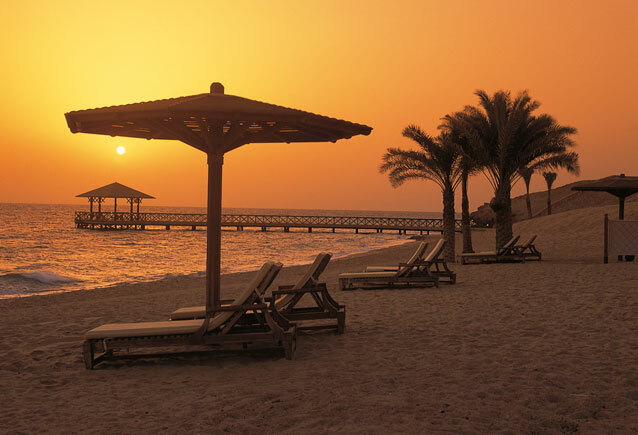 There are also numerous ways to keep fit at The Oberoi, Sahl Hasheesh. Fitness facilities – The resort gym is located at pool level and is equipped with state of the art Life Fitness equipment to tone up every bit of your body. All gym equipment and the steam rooms are available to guests free of charge. Diving – Dotted with coral reefs and fringed by ancient ports, the Red Sea has a rich maritime history that stretches back to Pharaonic times. The Red Sea is unique in that it is home to around 20 percent of the endemic fish species of the world and also for the varied and rich coral reefs – more than 400 species of corals have so far been recorded. The Red Sea has a magnetic effect on human beings who come to discover the secrets of this live tapestry of vibrant corals and exotic fish. 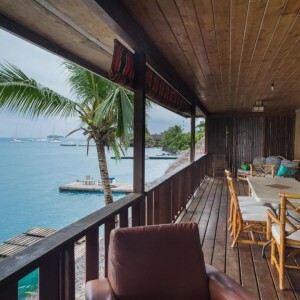 The crystal clear waters and unique underwater gardens are a diver’s paradise, enchanting travelers to return again and again. 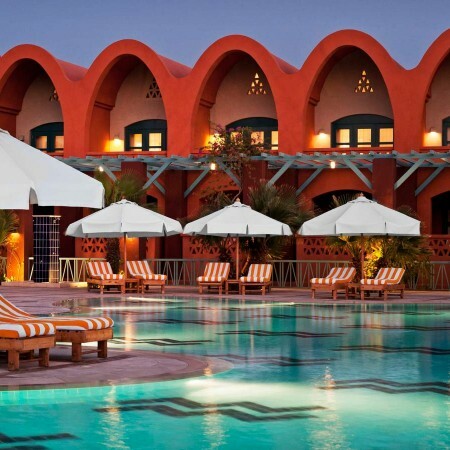 Location & access – The Oberoi Sahl Hasheesh is an exclusive all-suite luxury resort, located on the Red Sea coast of Egypt, a region rich in natural beauty, sparkling blue waters, rare marine life and dramatic nearby mountain ranges. The hotel is 25 minutes from the centre of shopping and nightlife and 20 minutes drive from Hurghada International airport. 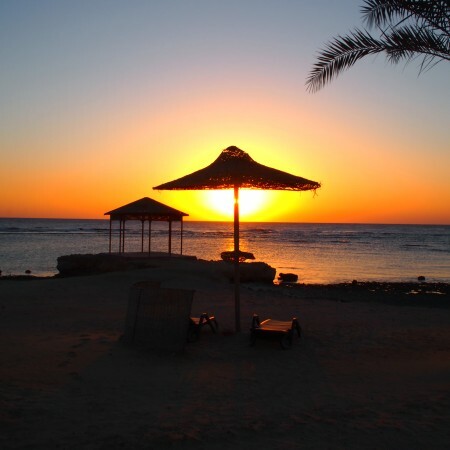 By air – Hurghada International Airport is conveniently connected from most European cities with direct flights. There are multiple daily domestic flights as well and the flying time from Cairo is 50 minutes. The Oberoi can arrange private transfers from the airport. By road – It is also possible to drive overland from Cairo or Luxor. The trip from Cairo takes approximately 6 hours to cover the 510 km distance while the trip from Luxor (240 km) is only 3 ½ hours.